So this weekend could potentially be a big one....Its been about 9 weeks since I moved house and the Puma has been stored at my parents house during this time. I'm going to attempt to clear the garage and make some space to bring the car home, time to introduce the neighborhood to a track car! 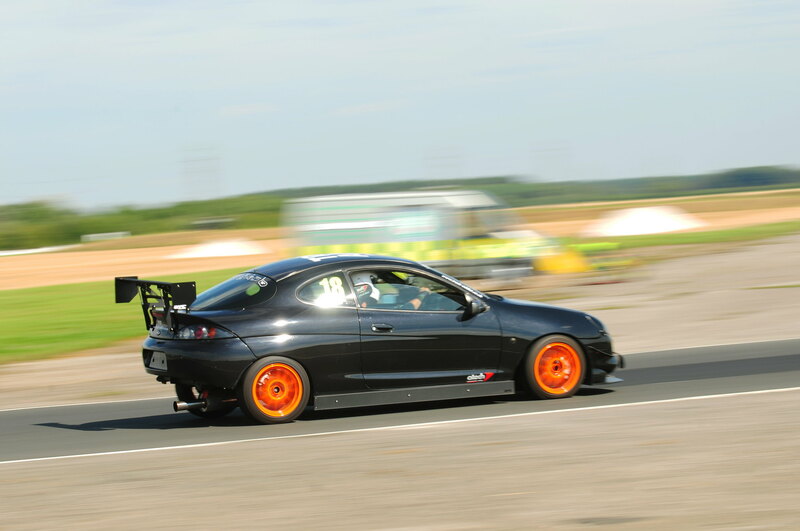 Did a small amount of prep today to get the car ready for Blyton Park tomorrow. Nothing to major just something that should cure one issue and another to make it easier to time my sessions. First one... adjustable pressure reg fitted and set to 2.7 bar which is the standard pressure of the Racing Puma. The car has been over fuelling for a while and the old standard reg look far past its best. I've recently bought harrys lap timer and needed a way to mount my phone in the car. After soon googling I came across https://www.upaclick.com and got hold of one their modular steering wheel systems that uses a quad lock mount to hold the phone securely in place. Obviously it obscures the dials but i not to worried about that.... I also bought the angle bracket so I can mount my phone higher up if required. All for now... next, track pictures from tomorrow! 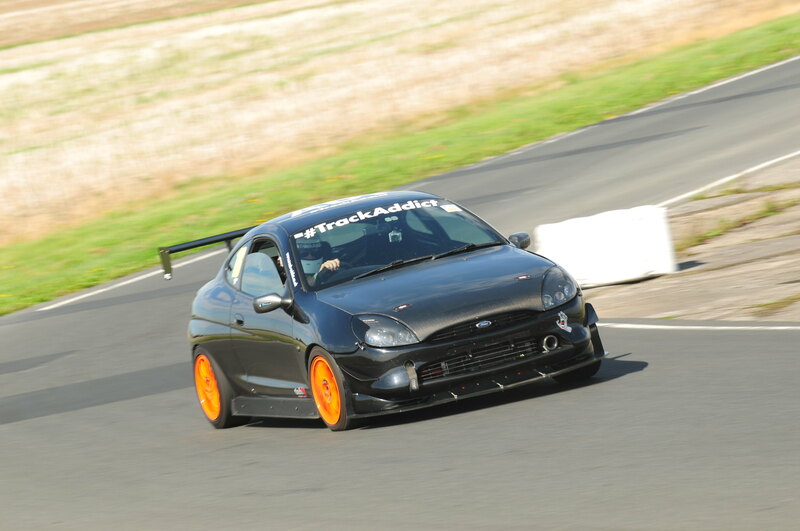 Hit the track again yesterday at Blyton Park on the Easter Circuit. Having never driven it before and going off what I've heard I wasnt really expecting much but, the track provided a nice challenge. Its starts very tight, narrow and twisty but opens up to be much faster and flowing around the back end of the track. The outer circuit is better but it provided a nice change. Was also the first time I'd had chance to try out Harrys Laptimer and I was really impressed with it. A little bit confusing to start with but once I got the hand of it it became easy enough to use. My lap times started off around the 1:30's area but as I got to grips with the track and started to pick the braking points and apex's better I was able to get down to a 1:24.60 as my fastest for the day. Getting a clear lap in provided a bit difficult as I seemed to catch everything out there pretty quickly. I only had to move aside for one car all day! No video's from this one as my GoPro decided it didnt want to play ball and packed up. I did buy the photo's so here's a few of them. I did manage to get one video... Its my brother driving the car and he was getting a bit late on the brakes and now owes me a new right front tyre!! Nice write up Jay. Good to hear that the car performed well! Brian' wrote: Nice write up Jay. Good to hear that the car performed well! Thanks, it was going well, a few areas I and the car can still improve in, I need to get on top of the tyre pressures and what works best in different conditions. I never really played about with them much so its a learning process for me. 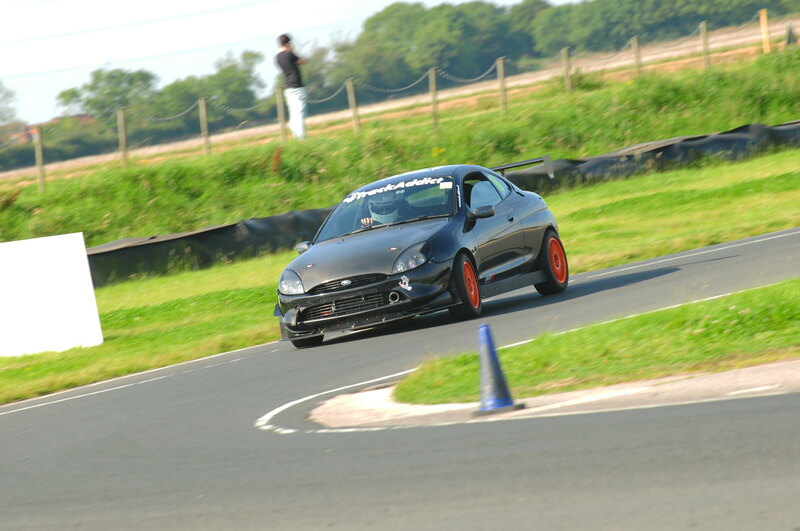 More track time done, had a sprint day at Curborough yesterday. More pictures, videos & times to follow. 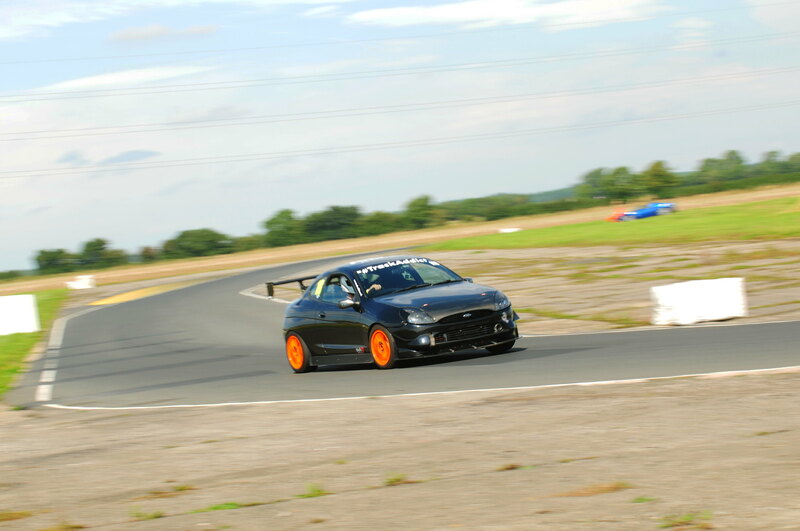 I think thats the year done for me in terms of track days now. I was planning on being at Rockingham this Sunday but the car is showing some signs of wear and tear and haven't got time/can't be bothered to fix them now, plus I think I've had a pretty good run this year of Rockingham, Cadwell Park, Spa, Nurburgring, Donington Park, Blyton Park and Curborough. In other news a safety devices 6 point roll cage had been ordered ready for next years track action, I really should have fitted on years ago but I just never got round to it. I'l also hopefully have Gaz Gold coilovers on just after christmas as well. Couple of other ares for improvement will be a new drivers harness and hans device for myself. What sort of track is Curborough? Looks like a sprint track? moondustka wrote: What sort of track is Curborough? Looks like a sprint track? It is indeed a sprint track, never done until Monday and I wasn't expecting much but its really good fun. Went to Trax last weekend and did a session in at lunch time. Weather was pretty poor all day but it did dry about an hour before my session and the drifters had been out for a bit before which helped to dry the track a little bit.... It did start to drizzle as I lined up ready to go out which made the track uber slippy! It took 3 or 4 laps to really get any heat into the tyres and I had to tip toe round all the corners until I gained a bit of confidence that the car would grip and not just try to put me on the grass. Having never driven the Silverstone National circuit either it was also a little bit of a learning curve to pick braking points but its a relatively simple track and I was soon on top of it. I managed 12 laps in the 20 minute session and went from 1:28.80 on my first flying lap down to a 1:22.56 on my fastest and last flying lap. I was quite impressed with the Nankang AR1's as well, the fronts we're due for replacement and I was hoping for dry weather to get them through one more session but even with a very greasy track they still performed pretty well... even though they are a very worn set now. 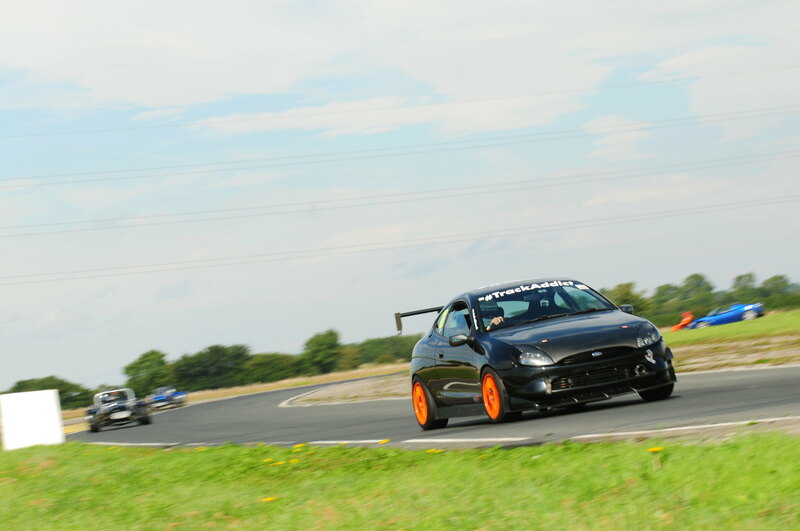 Only 2 cars to overtake me we're a BMW M3 and a Golf R.
I did a session at Trax years back when I was new into trackdays, know what you mean by a learning curve, the tracks quite intimidating and I was poodling along to begin and not using the full width of the track at all, looks like you went well! 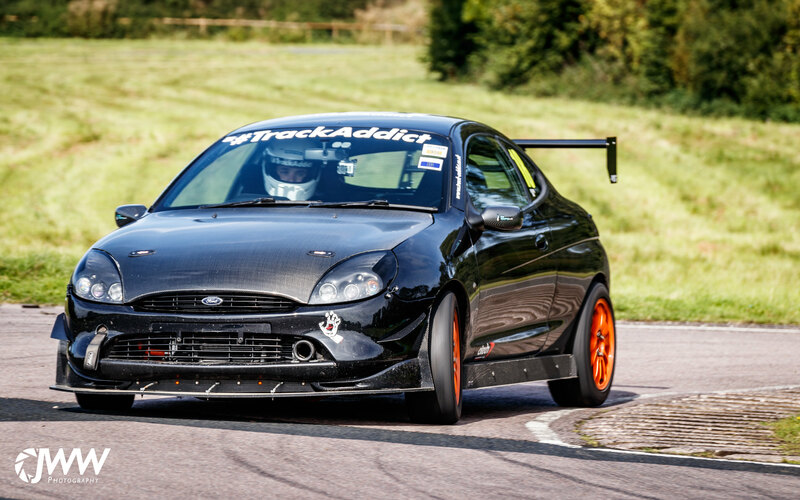 You at Ford Power Live on 22nd October at all at Snetterton and if so having any track time? I know there's one other puma so far as well as me. I wouldn't say the track is intimidating, its just a road at the end of the day. I just take it one corner at a time and build up the speed with each lap, using a bit more curb each time. Woodcote and Copse were he tricky ones, the front was just wanted to wash out wide. I've now driven all of Silverstone's configurations,old, new GP track and now the national and the national is by far the best for a small car. The GP track is just too big. 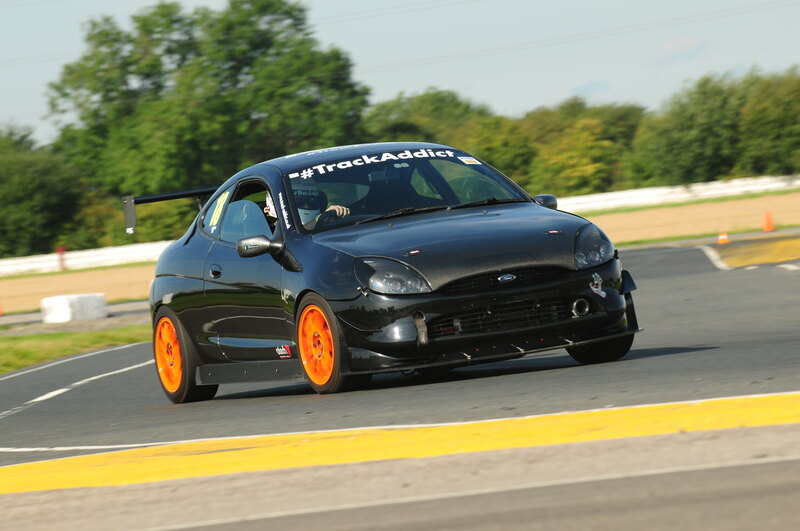 I wont be at Snetterton, Trax was the end of the year for me and the Puma, it'll be tucked away and fettled a bit more over the winter ready to brought back out around March ready for the next #TrackAddict track day. 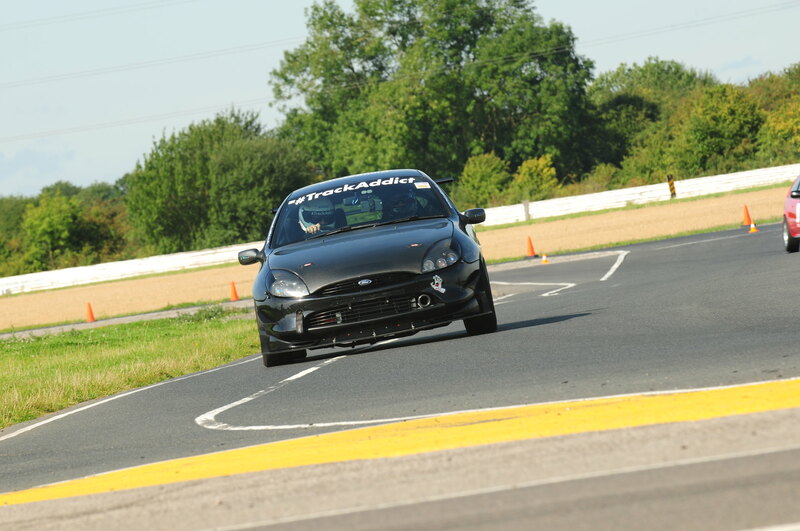 Hi Jay, looks like you`ve had some good tracktime in the last month, and your car seems to be going well. I almost made Curborough this year, but it never quite happened. It`s right up there on my to do list. The National layout at Silverstone is the choice for show tracktime. It`s not too complicated and wide enough for a well mixed field. 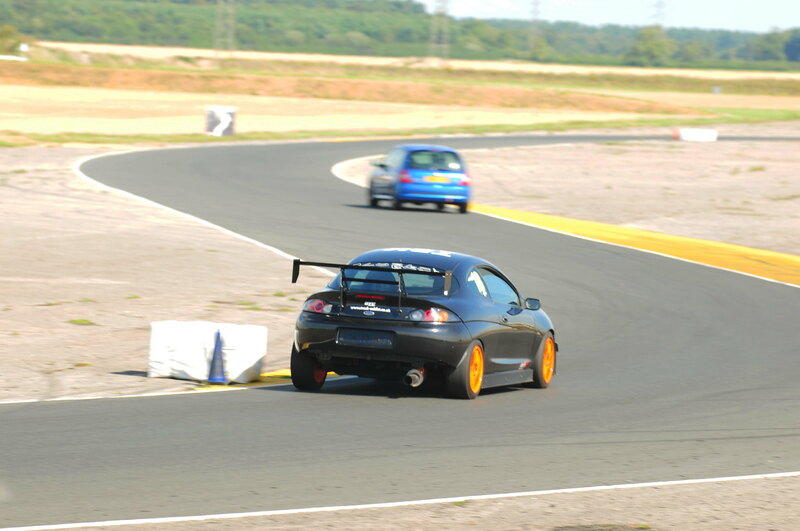 I don`t find understeer a problem in those fast corners, but I have shied away from overdoing my rear downforce. Cheers Stu. It wasn't the wing causing the understeer it was just the cold tyres on a wet track, once I had some heat and the circuit began to dry it starting to grip quite nicely. I remember doing silverstone on a scorching day a few years ago and it the back would be unsettled through woodcote and copse, the wing seems to cure that now. 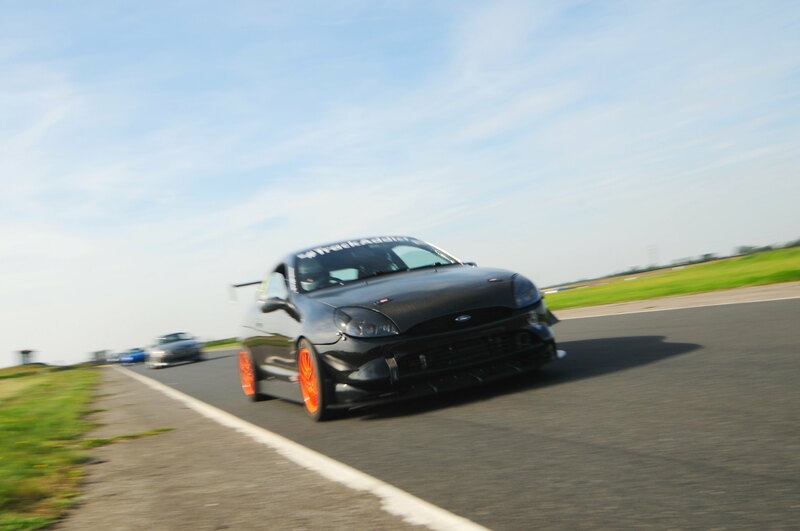 The Eastern circuit at Blyton was good fun and yeah you can push some much more expensive cars around the tight infield section. On balance though I still prefer the outer layout. The car has served me well this year, I've done quite a bit of track driving this year and I'm more than looking forward to being back out next year! Didn't look that busy? and you seemed to have a clear run, which is preferable as less chance for things to go wrong! Was it busy at Trax in general? moondustka wrote: Didn't look that busy? and you seemed to have a clear run, which is preferable as less chance for things to go wrong! 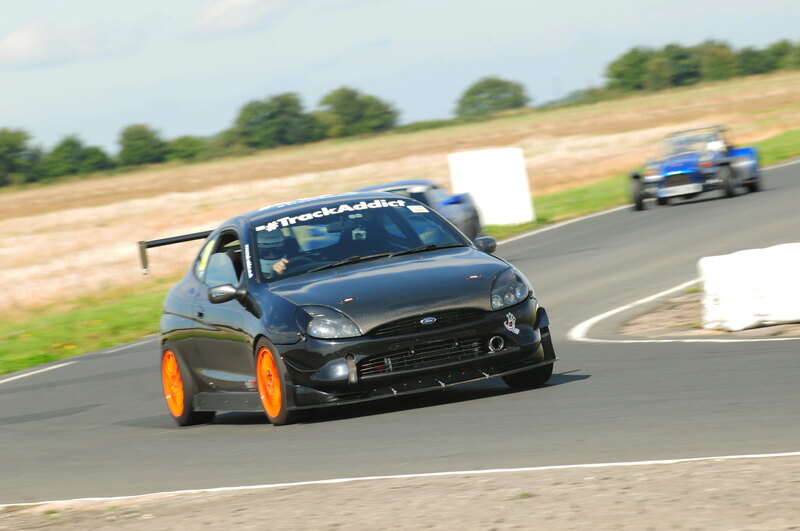 I was very lucky that I got an invite to the show from the organisers which put me in the "Trax Legends" display area and track session, there was only about 15 cars out on the circuit and they we're all seasoned track day guys and girls. I was asked by the event organisers to recommend a bunch of cars for the display area so picked people I'd already previously driven against on track. 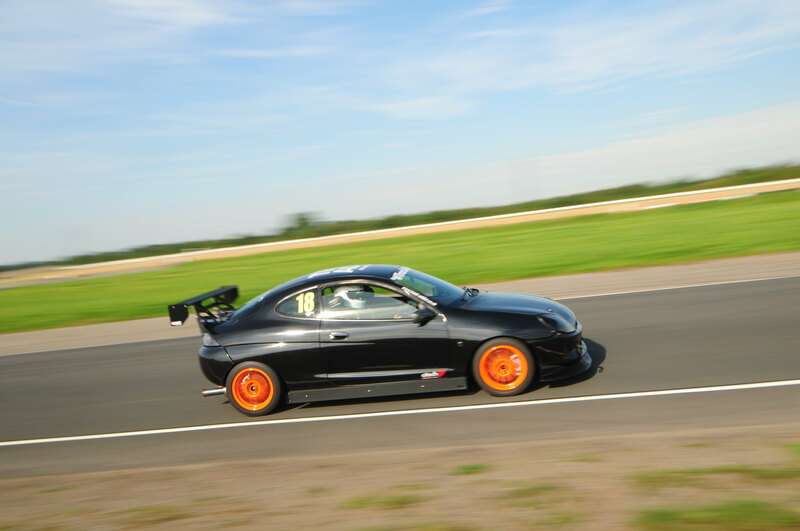 I wasnt witness to many of the other track sessions but I heard people saying the driving standards where a bit poor. The show itself was packed which suprised me due to the awful weather on the day. It was nice to see a lot of cars turn out for the event though. I hadn't been to Trax for a couple of years and it hasn't really changed much since I last went. That said though its always nice to get out and talk cars with like minded enthusiasts and I'l be heading there again next year! Sounds good! .. the weather for me always puts a downer on it if it's raining. moondustka wrote: Sounds good! .. the weather for me always puts a downer on it if it's raining. Couldn't agree more, I'm all about the sunshine. 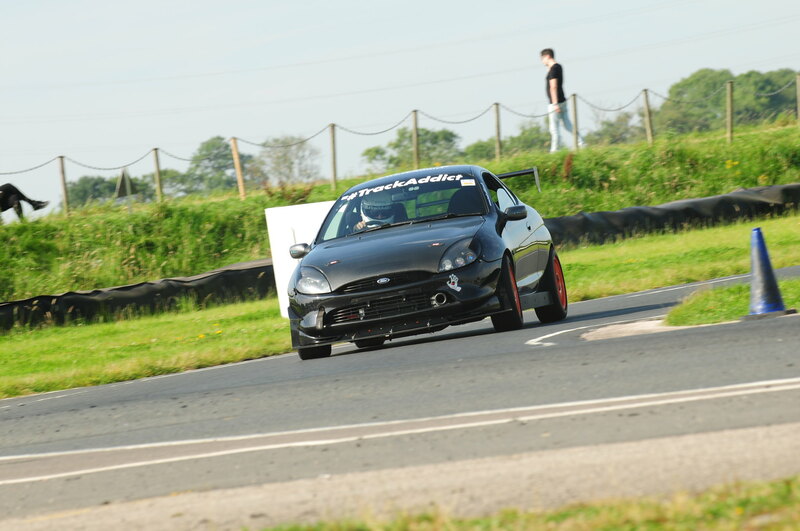 It was certainly fun being out on well worn semi slicks in greasy conditions! Decided it was time to make the most of the fact that Lucy and I moved house a few months ago and get the garage ready for the Puma to go in. It's been stored at my parents house since June and I think they might be starting to get a bit tired of it being sat on their drive. At our old hosue we had parking for 4 cars but the new one is a double driveway with a single garage, obviously with moving the garage had become a bit of a storage area for our stuff and there was no way of getting the car in. So it was time to start making some space and clearing the boxes but first..... I'd had 3 days off to look after our new puppy but while he was sleeping I got bored and bought myself a new tool box. Its a fair sized thing but its pretty much swallowed all my tools and loads of other stuff. I've thrown away/ebayed a hell of a lot of stuff in the last few days and I'm close to be able to get the car in the garage. Just a bit more tidying and it'll be ready! Starting to take shape that, I really want to re-sort my garage but it's a highly daunting prospect, I know I have junk in there that I haven't looked at or touched since I moved in.. in 2012..! red wrote: Starting to take shape that, I really want to re-sort my garage but it's a highly daunting prospect, I know I have junk in there that I haven't looked at or touched since I moved in.. in 2012..! I've putting this off for a little while now, I'm opening boxes with stuff I had in boxes at my old house, I'm going on the basis if I haven't needed it in the last 6 months its going in the bin or on ebay. I'm a self confessed hoarder and I look at everything like it might have some value to me or someone at some point in the future but I'm trying to get out of that way of thinking so I can start a fresh. Fingers crossed the car will be in the garage at the weekend. That is really nice toolbox! Built that at work, found them on ebay for about £90. Why buy when you can build.